Blow moulded glass, hand painted and decorated with a real peacock feather. The bird rocks back and forth on two metal coils with a clip. Length 20 cm, width 3.2 cm, height 8.5 cm. Weight 10 g.
Every sort of magic power has been attributed to the peacock, and his shimmering feathers are a reminder of the majesty of the night sky. 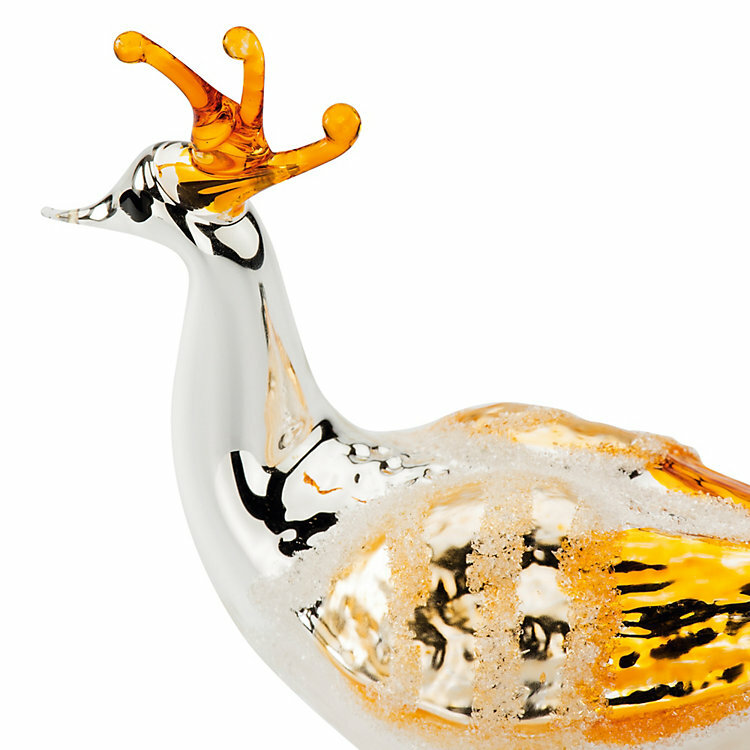 This one executed in glass features a real peacock feather from a breeding bird in the tail. these items are handcrafted. Smaller deviations in size and colour are always possible and by no means indicate carelessness.